Moving can be a bit stressful, especially if you decide to do it during the holiday season. But remember it’s still the time to be happy and festive! There are so many things to look forward to during the holiday season– dinners with family, wrapping up presents, catching up with old friends. But for sure, moving is the last thing you can think of doing this time of the year. Still, no matter what your reason is, Christmas shouldn’t stop you from moving. 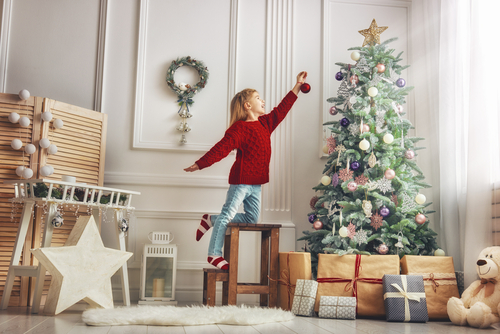 Here are some ways you can keep the Christmas spirit alive during a move. The Christmas season is busy enough for various parties and gatherings with the family. So no doubt, moving will make it extra difficult. But you don’t have to worry because you can hire professional movers to make the process easier for you! Moving doesn’t mean you have to skip the fun part– decorating your home! So before you move, put up minimal decorations you can quickly pack up right before you move. Consider the stuff you’ll need during the holidays. Make sure to pack all your Christmas ornaments and even your presents in a separate box, so it’s easier for you to locate your decorations once you move. Don’t stress yourself with unpacking everything when you get into your new home. The holiday season is meant to be enjoyed and shared with your loved ones having fun so set aside things you can do on a normal day instead. Moving may not be the most ideal part of your Christmas list. But who knows, having spontaneity can actually add up spark to your holiday season! With just a little planning and creativity, no one can stop you from enjoying the Christmas season– not even moving! For more information about how we can help you on your next move, contact us today!